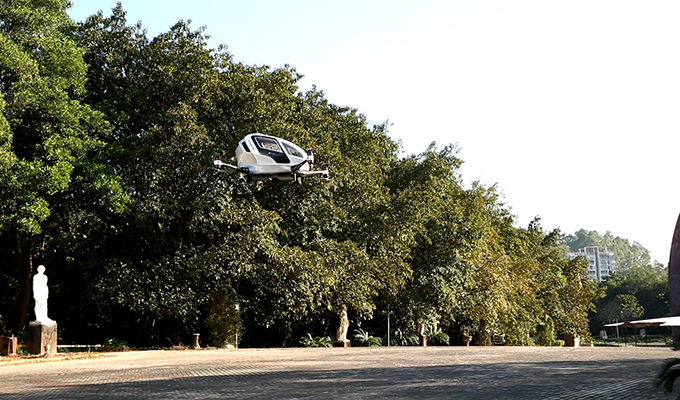 Since its debut at CES in early 2016, the EHang 184 Autonomous Aerial Vehicle (AAV) had been attracting worldwide attention of global media as well as the general public. Thus, our engineers deeply feel that we carry higher expectation than ever that comes along with excitement. What we have been aiming at for the EHang 184 is not only making an unprecedented innovative exploration as a technology startup, but also bringing everyone in the world closer to the much-anticipated dream of autonomous aerial flight through our initiative and endeavors. 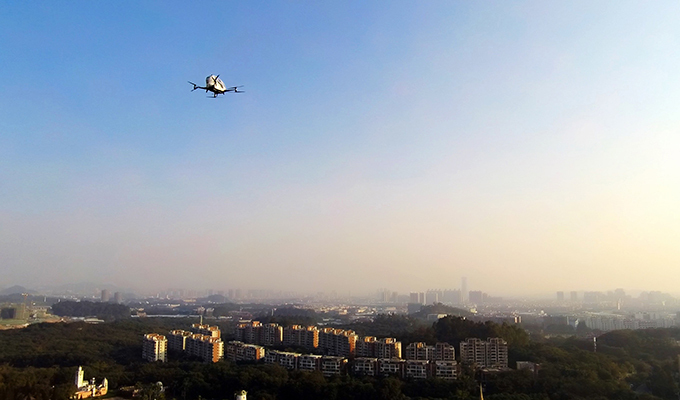 As the pioneer and advocator of this grand and formidable program, EHang would like to frankly share the details of our progress as well as challenges in the process of optimizing and testing the EHang 184. Our whole concept of the EHang 184 includes not only a safe, smart, eco-friendly AAV, but also a comprehensive system and service solutions behind to ensure the flight safety. From the perspective of the AAV itself, we delve into key factors of safety, performance, flight duration, distance, etc. Besides, a massive auxiliary system and construction projects, including but not limited to the flight command center system, repair and maintenance mechanism, charger networks, need to be taken into consideration seriously and significantly. Indeed, the EHang 184 is not as simple as “just a bigger drone”. Such a multi-rotor unmanned aircraft with huge inertia and load had very limited technical data and experiments for our reference before, so we should make a start and make it happen. In the past years of endeavors, our engineer team has done a series of flight tests -- gradually from the base flight tests for attitude adjustment, and then we passed hovering test, which came stable flight tests at fixed height and point in a 3-dimension space, and so far we have achieved some success of point-to-point flight tests. In the near future, we can expect autonomous flight test under 4G network with load, which is ongoing now. Although there are numerous technical challenges laying in front of us, we are ready to tackle them down step by step by persevering R&D and testing in the process moving forward. As the EHang 184 might be the multi-rotor aircraft with the world's largest propeller, in order to avoid the problem of "control divergence" in its autonomous flight, we need to do a variety of algorithm optimizations for the flight control system to ensure that such a large multi-rotor aircraft can fly in the air stably. In the past 2016, our engineers optimized algorithms and the performance of various parts of the hardware, based on previous foundations and continuous testing, so as to bring the flight stability, the accuracy of hover and flight route to an enhanced level, plus the achievement of the fully-automated commands of flight, so that we could provide passengers with a better ride experience. The auxiliary system and projects definitely share the same significance with the EHang 184 aircraft. Security is always the highest level of requirements for the EHang 184 as an unmanned aircraft. With that in mind, our design goal for EHang 184 is that it can be capable of flying steadily from one location to another within the range of the voyage, and automatically landing at the spot; in this process, the aircraft itself is not only able to automatically resist normal wind and obstacle, and adapt to different kinds of normal weathers, but also able to let passengers know that even if any component anomalies within the aircraft or any unexpected flight conditions happen, our ground personnel will be informed and take appropriate measures at the first time, allowing passengers as well as the aircraft to land safely as soon as possible. 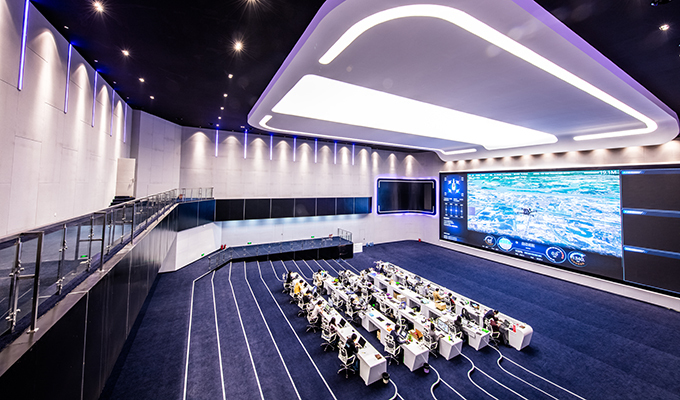 Therefore, we started to construct and finally set up a special command and control center designed for EHang 184 in 2016, a ground command center that will accurately monitor a variety of flight data of EHang 184 and dispatch air traffic. In short, the command and control center will not only enable the passengers in the air to make real-time video/voice calls with the ground, but also receive the real-time flight sensor data from every EHang 184 in the air, so that passengers will understand the real-time flight conditions through one-on-one calls with our ground staff at all times without much tension for the flight journey. In this newly completed command center, our ground crew can receive and analyze a variety of real-time data transmitted by each EHang 184, including the control data, flight data, in-cabin/out-of-cabin videos, etc. in the future. Through the command center, our ground staff will be real-time monitoring every aircraft data and each take-off and landing all-weather, and always stand by to connect with passengers’ calls at any time. This is a long-term and vital project with huge investment in hardware and software construction at the early stage and the day-to-day operation cost in the future. We acknowledged the fact that EHang 184 is a project which investment and operation costs will be far greater than its proceeds today and in the future for a period of time before it achieves a certain scale of commercialization. 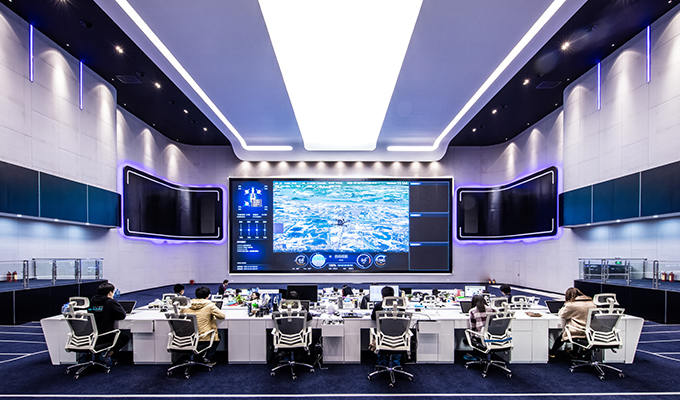 Even so, we believed in what we do, and took a year to set up the command center and run into trial operation, because it is an indispensable and important part of the EHang 184 system in the future. In the past year of 2016, we have upgraded various software and hardware components of EHang 184 in the process of continuous research, development and testing. As for a multi-rotor aircraft, the propeller is the most important power driver, which affects the aircraft dynamic performance, flight stability, noise and many other core indicators. We have designed and upgraded three versions of the EHang 184 propeller. 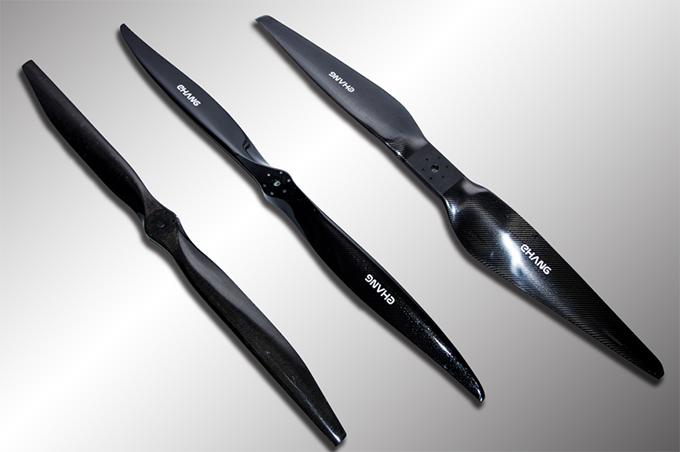 The first-generation propeller mainly meets the requirement of flight test in early flight. In the second generation, its performance is further improved that the limit drag of the single propeller reached 87kg, meeting the need of EHang 184 flight in a variety of environments. The third-generation propeller design not only improved the aerodynamic efficiency for 10%-15%, but also reduced the noise generated by rotation. In order to conduct testing more technically and accurately, we designed and developed two kinds of testbed, separately used for the propellers testing and the power system components testing. The propellers testbed mounted with high-power motors up to 27 kilowatts, enable to test as huge as 100-kilograms limit drag of the propellers. Meanwhile, we also designed and developed the host computer system for the testbed, which is able to collect specific data of EHang 184 propellers and then conduct spectrum analysis and algorithm processing to these original data, so as to detect where the vibrational coupling concentrates. As the driver for propellers, the motors could converse the electrical energy into mechanical energy to generate drive torque, which directly affects the efficiency of the propeller and its maximum tension. 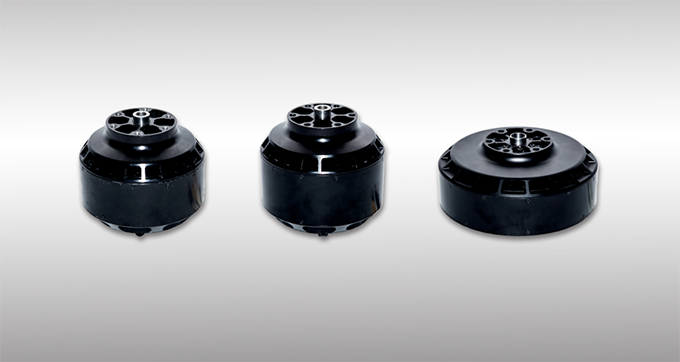 The motors of EHang 184 have been upgrade to the third generation. The first-generation was 13830, which had lower magnetic cylinder, and inferior performance in drag and other aspects. 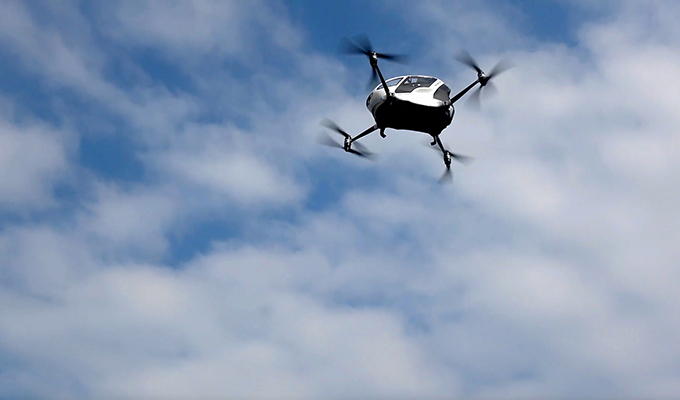 The second-generation motor was 12845, which had higher magnetic cylinder and more stable performance, and provided a drag that is up to the design requirement of EHang 184. The latest generation motor is 18030, which has promoted power and the maximum drag. The electronic speed controllers (ESC) have been upgrade for three generations as well. The first-generation ESC used square wave. The second-generation ESC used the sensorless FOC solution, which was able to monitor the feedback of the operating status of motors, and could effectively avoid the suspension of rotation caused by loss of signals during flights, thus prominently promoting the overall stability. The third-generation of ESC was designed and manufactured by EHang following the standard of industrial drivers, including the host computer and speed control software. It is not only capable of conducting sweep frequency experiment for motors, but also able to detect the real-time motor speed and the current motor rotation, in order to get a more direct and comprehensive monitoring of the components operation. EHang has invested a massive manpower and material resources on the design and development of the testing equipment to ensure the EHang 184 get more reliable and safe components. For instance, in order to better measure the power of motors and ESCs, we jointly developed a customized dynamometer for specific testing object with a professional company that specializes in developing testing equipment. This dynamometer is able to test various specifications of the motors and ESCs in a complete torque curve, including torque, revolution speed, efficiency, output power, and it can also output an overall efficiency cloud chart. The flight controller system plays a vital role like “the brain” for an aircraft. Since there were no appropriate solutions in the market that could be directly adapted to EHang 184 at present, we independently developed a sophisticated flight controller system specially for EHang 184 through innovating a large variety of algorithms, which could ensure the effective control and flight stability of such a multi-rotor aircraft with huge inertia and load. 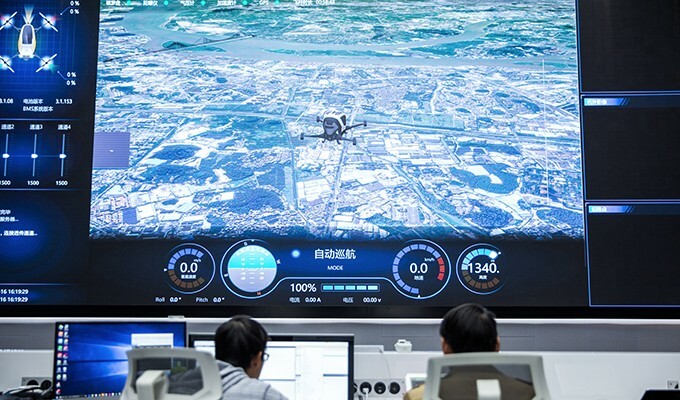 At present, the flight control system of EHang 184 has full redundancy design with two sets of system, each equipped with two sets of sensors, which can mutual communicate with each other. In the next version of the flight control system, we will upgrade better sensors with stronger performance on the reliability, anti-jamming capability and accuracy, to get more stable automatic control through more accurate aircraft attitude. Considering the huge size and inertia of EHang 184, our mechanical engineers obtained the real-time inertia data of propellers, electrical motors and the whole aircraft through theoretical calculation and practical tests to generate an accurate mathematical model and then transmitted it to the flight control system. Now the flight control system has already been able to conduct simulation tests based on virtual prototype. We’ll conduct simulation test to the whole aircraft in the future. The battery of EHang 184 has been upgraded to the third generation. The current Battery Management System (BMS) is an industrial-grade solution that monitors the parameters of all cells, including the temperature of the cell, the current capacity and voltage, etc., for active and passive balance, which can effectively manage the battery performance and life. 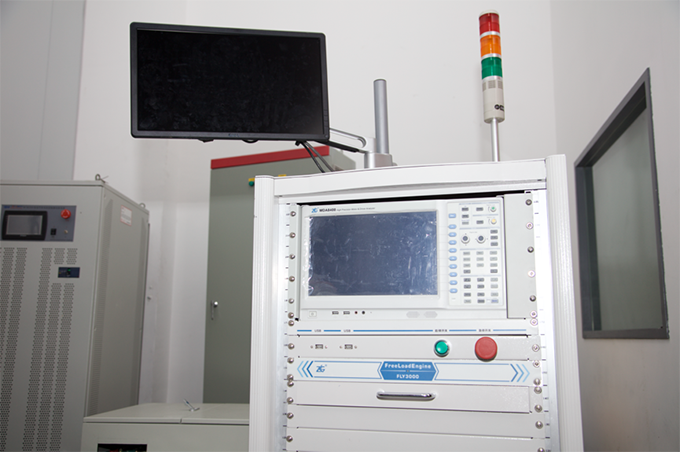 The Battery Management Unit (BMU) for the management of BMS, responsible for the real-time communication of BMS data with the flight control system and the ground station. 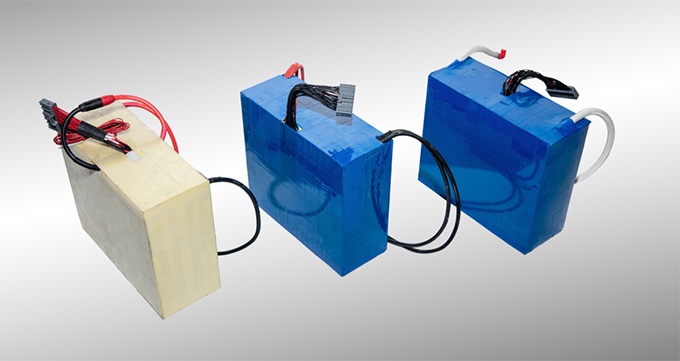 During the design and testing of the batteries, we firstly conducted independent tests of each battery, BMS and BMU, and then integrated tests for a number of cycles, and finally installed into the aircraft following a strict and standardized process of battery production. 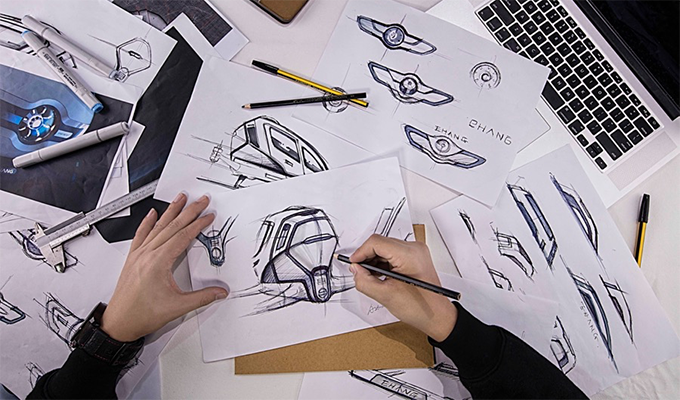 It has always been the dream and mission of EHang since its establishment to create a truly safe, smart and eco-friendly autonomous aerial vehicle. Although we recognize that there will numerous challenges to realize this dream, we will persevere to explore. Meanwhile, we are very pleased to receive a great number of enthusiastic letters from around the world, including the excellent technical personnel in the UAV industry, the partners with the same passion for collaboration, the professional experts and scholars in various fields to kindly share their advice and suggestions, as well as the ordinary people sharing the same dream of flying with us. Thank you all for your support and encouragement, that is our driving force of the continuous exploration to resolve technical difficulties. Admittedly, the grandness and arduousness of this project is not as a simple future science fiction as people imagined. We believe the autonomous aerial transportation ecosystem will only be successful with the participations of policy makers, regulators, entrepreneurial vehicle designer and manufacturers, application service providers and many other partners and stakeholders from across the globe, who will be keen to interact with one another to shape the ecosystem together. We hope the publication of this phased update of EHang 184 development and testing, marks a good start. Regardless of success or setbacks in the future, we will continue to regularly publish the progress of EHang 184 project. Moreover, we are looking forward to collaborating with more partners with an open mind. 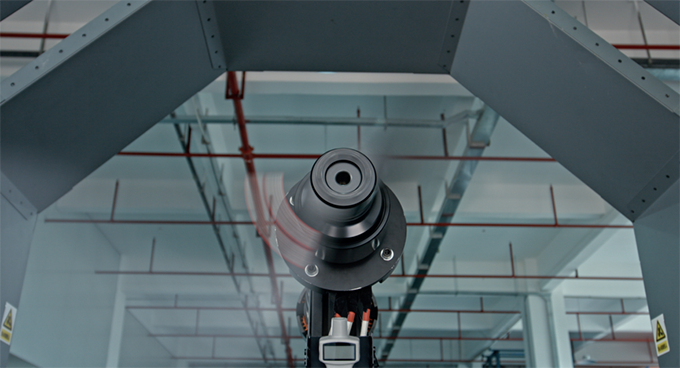 To share your feedback or express your interest in building this vision with us, please contact us at aav@ehang.com.